How Far is Kadu Malhar Villa? Kadu Malhar Villa, located in Pune is developed by Kadu Constructions. 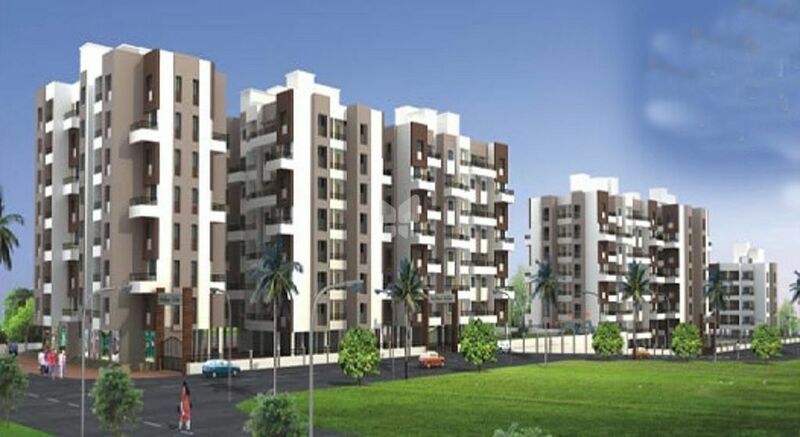 It comprises of 3 blocks offering 1 BHK, 2 BHK apartments and commercial shops. The project is well equipped with all modern amenities and 24 x 7 security service to facilitate the needs of the residents. 24"x24"vitrified tiles in all rooms with matching skirting. Anti-skid flooring in toilets. Loft level designers tiles above kitchen counter. Provision for water purifier & exhaust fan. Concealed internal plumbing. Anti-skid ceramic tile flooring. Hot and cold mixer set with overhead shower. 7' height designer's tiles dado. Chrome plated fittings. Concealed internal plumbing. Ceramic tile flooring. 8-x12"white glazed tiles 4' height designer's tiles dado. Ample number of light & invertor points. TV/Telephone point in living room. All doors will be waterproof flush door. Decorative main entrance door with Chromium fittings & night latch. Powder coated aluminum sliding windows with mosquito- net & M. S. safety grills. Aluminum louvered ventilators for toilets, Bathroom & W.C.
Internal Gypsum finish plaster. Pleasing shade of dry distemper. External sand faced plaster. Attractive elevation.